One of the best ways for children with autism, Asperger's, and sensory processing disorders to learn is through play. Children improve their motor skills, language skills, and social skills by moving their bodies and interacting with their environment. Yet the biggest challenges parents, teachers, and loved ones face with children on the autism spectrum or with sensory processing disorders is how to successfully engage them in play. The interactive games in this book are quick to learn but will provide hours of fun and learning for your child. And many of the games can be played indoors or outdoors, so your child can enjoy them at home, outside, or on field trips. More than one hundred games that help your child: make eye-contact, stay focused, and strengthen his or her motor skills associate words with objects and improve language and numerical skills learn how to interact with others, how to take turns, and other social skills needed for attending preschool and school. Zane the zebra feels different from the rest of his classmates. He worries that all they notice about him is his "autism stripe." With the help of his Mama, Zane comes to appreciate all his stripes � the unique strengths that make him who he is! Includes a Reading Guide with additional background information about autism spectrum disorders and a Note to Parents and Caregivers with tips for finding support. Children with ASDs often find it difficult to identify the things they find difficult and, more importantly, to recognize the things they are good at. This colorful book provides simple self-exploration tools to help children identify their strengths and begin to tackle the things they find harder. The book explores a range of common difficulties, including communication, emotional and sensory regulation, and executive functioning, encouraging children to explore their personal challenges and abilities in an engaging and positive way. Illustrated with hundreds of cartoon-style graphics and containing a wealth of fun tools, games, activities and photocopiable worksheets, this book is ideal for children with ASDs aged 7-14, and will be equally useful at home or in the classroom. Growing up with Asperger Syndrome (AS) can throw up all sorts of challenges, but never fear, The Brain Guru, The Sensory Detective and The Social Scientist are here to help! These likeable characters guide children with AS through some of the trickiest, stickiest conundrums known to humankind: from anxiety and negative thinking, to sensory overload, emotions, friendship and trust and social situations. By working through the activities and using the cut-out-and-keep tools with a parent, carer or teacher, children with AS will learn how to build upon their strengths and develop techniques for coping with areas of difficulty - as well as how to handle setbacks and celebrate successes along the way! The important topic of staying safe in the digital world is also covered, providing children with the knowledge and know-how they need to use the internet, social networking and text messaging safely. Original and highly interactive, with attractive colour illustrations throughout, this is an essential toolkit for every family with a child with AS. This interactive workbook is designed to help young people, approximately 5th to 8th grade, develop their Personal Profile. By learning to identify their strengths and challenges, they are better able to participate in developing meaningful interventions and future plans. With the help of a trusted adult, the child completes a series of exercises related to learning style, sensory issues, emotions, relationships and more, culminating in a written plan for each major area of his or her life that will serve as a constant guide and reinforcement. Kenneth is in a unique position to describe some of the inner experiences and perceptions of autism in childhood. He has a warm and positive attitude to Asperger Syndrome which other children will find inspiring. Insights, struggles and joys are recounted vividly in a frank and humorous way. His book is for anyone interested in understanding more about autism, including parents, siblings, teachers and professionals. This book looks from the inside at the learning style of children with Asperger syndrome and explains how to introduce structured play that engages Asperkids. It explicitly addresses ASD weaknesses while reinforcing ASD strengths. Showing how just about anything can be turned into an opportunity for learning and growth, the book is full of go-to ideas for making simple play equipment in the home or classroom and using it to develop core skills that Asperkids struggle with, from fine motor and social skills, to planning and organization. Whether it's origami maths, fried marbles, or a bug's eye view scavenger hunt, every game, project, and idea in the book is explained with clear directions and learning objectives and illustrated with colour photographs. The enthusiastic approach and fun lessons, based on Montessori principles, will inspire and motivate parents, educators, and therapists to make purposeful play a part of every Asperkid's day. Stemming from a wealth of both professional and personal experience, Autism consultant Alyson Beytien outlines over 150 tried-and-true techniques for the home, school, and community in Autism Everyday. By combining real-life stories of challenges and successes with practical ideas for handling autism, Alyson has discovered what helps, and what doesn't. Alyson's three boys cover the whole spectrum of autism -Asperger's syndrome, high-functioning autism, and classic autism. She understands the wide range of needs these children have and has discovered what can be done to help, and what can hinder. Covering a full range of issues - from picky-eating and echolalia to IEPs, Alyson's ideas and interventions will inspire and inform all those who are connected to a person with autism. Alyson believes that each day brings more opportunities to learn, problem-solve, and celebrate the joys that children with autism bring to our world. Her family's motto will soon become your everyday mantra: "Improvise and Overcome!" Meet Adam - a young boy with AS. Adam invites young readers to learn about AS from his perspective. he helps children understand the difficulties faced by a child with AS - he tells them what AS is, what it feels like to have AS and how they can help children with AS by understanding their differences and appreciating their many talents. Mainly suitable for those from 7-15 years, but useful also for older age-groups, families, and in the classroom. Classroom Pivotal Response Teaching (CPRT) enhances children's motivation and participation in learning; increases the number of learning opportunities they experience each day; and promotes mastery of targeted communication, play, social, and academic skills. Full of helpful suggestions for making family life more comfortable for everyone concerned, this book is specially designed to give answers to the many questions of brothers and sisters of young people on the autistic spectrum. This complete handbook helps parents understand how AS may impact on their children and how to cope with daily life. Get a diagnosis and understand the results, discover the best options for education and learning, identify triggers that lead to sensory overload, recognize symptoms of meltdowns and work with your child to prevent them, education family and freinds about AS to enable them to privide a supportive and loving environment, explore other resources. Innovative, practical and fun activities for children with autism and sensory disorders. Following a step-by-step recipe format, 200 activities and interventions ae included to help children with their sensory needs. This highly detailed, illustrated and accessible guide is a rich resource for any therapist, teacher or parent. A Parent's Guide -2ND ed. The book offers readers ways to evaluate their child's strengths and weaknesses in areas such as visual and spatial functioning, writing problems, information processing and organizational skills, social and emotional capabilities, language skills, and interactive abilities. It offers specific strategies for intervening and helping the child to cope with these obstacles, such as teaching the child how to socialize with humour and empathy, alternatives for learning to write, tips for organizing daily activities, multi-tasking, and more. A celebration of the talents and insights of children on the autism spectrum, The Hidden World of Autism presents a collection of writings and drawings contributed by 21 autistic children. The children's work covers topics that are of primary importance in understanding some of the common experiences that children with autism, and their families, go through. These include life before diagnosis, friendships, relationships, feelings, bullying and the future. A key characteristic of having autism is the inability to express emotions; but too often that prevents children with autism from being listened to. This book gives them both a voice and a forum for creative expression and provides direct insight into what having autism means for the children themselves and how they feel about their experiences. This unique collection provides invaluable insights into the autistic experience for professionals, families and friends of children with autism, as well as the children themselves. In clear and simple language, with many illustrations, the authors tackle common problems experienced in everyday routines such as eating, sleeping and going to the toilet, as well as how to cope with aggression and tantrums, preoccupations and compulsions and how to enable better communication and socialising. Based on up-to-date research and using many case examples, the authors consider step-by-step why each problem may be happening and suggest a number of solutions. Every child's education relies on a partnership between parents, professionals and, of course, the child. This book gives parents of children with Asperger syndrome (AS) practical advice on how to make the most of this important partnership and work with schools to ensure their child's needs are being met. The book explores how parents can prepare their child for school life and how they can work with teachers to improve the classroom environment, as well as the school environment as a whole, for their child and consequently for the benefit of all pupils. Strategies include peer education, the use of visual cues and rules and effective communication between parents, teachers and teaching assistants. This clear, accessible book will be an invaluable guide for parents of children with AS and will also be of interest to the teachers and educational professionals who work with them. The author presents a no-nonsense guide to teaching children with Asperger's or autism the life skills they will need to function as an adult. Annotation: The co-author of "Asperger's and Girls" presents a no-nonsense guide to teaching children with Asperger's or autism the life skills they will need to function as an adult. This delightful book began as sketches and scribblings to record, for the Australian author, her son's stories. She often jotted down funny things her children said or did, and these tell of the social difficulties that Kevin encountered when he was a little boy. It shows many of the traits that are common in children with an AS diagnosis. The Author's note suggests that this book can be used with families and schools as a stimulus for discussions on social situations that could provide teaching material for lessons on values, tolerance and bullying. This book is designed to keep your child comfortable and in bed after lights out. It is also to the answer to the request for, "Just one more story, please?" Here's how it works. Each evening, you and your child select any number, kind, or sequence of bedtime stories. Whatever you choose, "The Last Bedtime Story" is always added to the pile and read last. In the sixty seconds that it takes to read it, this story closes each day with the same rhythmic and patient words, "It happens the same almost every night..." There are many children's bedtime stories. Some of them describe the basic steps involved in getting ready for bed - for example, taking a bath, brushing teeth, and putting on pyjamas. This story breaks new ground. It describes what happens in the critical moments between a child's bedtime and that of the rest of the family, with a reassuring format developed to keep a child calm, tucked in, and on the way to a good night's rest. This story was written several years prior to publication. In that time, several parents and caregivers have been surprised by its positive and immediate impact. There is no claim that this story will send every child seamlessly off to sleep. However, it may work for you and your child as it has for others. The theory behind the informal success of this story is simple. We all learn from stories; this one contains information that may be the difference between a child's repeated attempts to reunite with those who are still awake or resting among favourite stuffed animals and blankets...and falling asleep. A novel that explains aspects of Asperger Syndrome. When Lisa discovers a derelict hut in her friend Ben's backyard, she delights in exploring the remnants of an era long gone. Imagine her surprise when Great Aunt Hannah moves into a nursing home nearby, and reveals that once she was a servant in those very rooms. The old lady draws Lisa into the art of lace making and through the criss-crossing of threads, Lisa is helped to understand her own Asperger Syndrome. But Great Aunt Hannah also has a secret and now it is up to Lisa to confront the mysterious Lacemaker and put the past to rest. Receiving a diagnosis of Asperger�s syndrome can be a frightening, confusing and overwhelming experience for both parents and children. In fact, many people still believe it may be better not to name or �label� the syndrome in the hope that their child will settle down and learn to adapt. However, making sense and meaning of our experiences, similarities and differences is a core and universal human need. When, despite our best efforts, we still can�t understand why parts of our lives are not working, the resulting confusion, frustration and distress can be traumatic for any person. 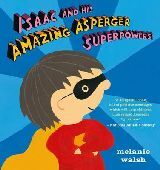 Making Sense of Asperger�s: A story for children grew out of just such an experience for one seven-year-old boy. This extremely bright child was frequently in serious trouble at school but couldn�t understand why. His mother was struggling to explain that he had been diagnosed with Asperger�s syndrome in a positive way so asked the author, her son�s psychologist, for guidance. This book is the end result of this mother�s request for help. Elaborating on a previously developed analogy of Asperger�s syndrome with a computer�s operating system, this workbook, with simple text and entertaining illustrations, sets out to offer an explanation of Asperger�s as one possibility within the range of differences between all people. In a world where most people come equipped with a Standard Operating System, it seeks to explain in a validating and fun way exactly what an Asperger�s Operating System is, how it works, the compatibility issues which can arise and, most importantly, how to live with one, crashes and all. A really positive book. Aussie author. Jacqui Jackson has seven children. Luke (author of Freaks, Geeks and Asperger Syndrome) has Asperger Syndrome, Joe has ADHD, and Ben has autism. Life is anything but straightforward, but the chaos of the Jacksons' lives is threaded through with humor and common sense. Full of anecdotes and lively thinking, the book explains vividly what it is like to parent young people with such a range of conditions, and provides a wealth of helpful and creative advice for other parents and carers. Anyone who has wondered what life in such a family might be like will be fascinated. Growing up with a parent on the autism spectrum can be difficult, and children and teens may struggle to understand why their parent is different from others. It can be equally difficult for parents with an autism spectrum disorder (ASD) to explain their unique set of strengths and challenges to their child in a sensitive and positive manner, and any adult faced with this situation will be in need of a helping hand. This supportive workbook has been designed with precisely this purpose in mind. In child-friendly language, the author describes the common characteristics of ASD, and encourages children to think about how the world might look from their parent's perspective. Topics covered include social and emotional difficulties, communication differences, sensory issues, body language, special interests, and how the child might go about explaining their parent's differences to other children, taking into account that some parents may not wish for their diagnosis to be known beyond the family. Each chapter concludes with a worksheet for the parent and child to complete together, helping them to understand each other better and to develop strategies together for dealing with particular areas of difficulty. This workbook is an essential tool for any family with a parent on the autism spectrum, and is suitable for children and teens of all ages, whether or not they are on the autism spectrum. It will also be a useful resource for professionals who work with such families. 4) Creating plans to prevent future meltdowns. The sequel to Blue Bottle Mystery, this is a science fiction novel for kids, with a difference. Ben is learning to cope with his newly diagnosed Asperger Syndrome, but when an alien crash-lands in his back yard, things really get complicated. The alien, Zeke, knows nothing about Earth's rules and norms and it is up to Ben and his friend Andy to help Zeke survive. The humorous parallels between the alien's inability to relate to humans and Ben's own idiosyncrasies highlight the difficulties Aspie kids face every day. Of Mice and Aliens is not just another kids' book. As well as being a delightful read for anyone who loves adventure, it is a valuable teaching tool that demystifies children with Asperger's, justifying their individuality as valid and interesting. This is the story of a boy who, like many children, struggles to understand non-literal expressions. This can be a particular problem for children with Asperger Syndrome, who tend to be literal thinkers. Throughout the story, Sam encounters a range of common idioms - such as "curiosity killed the cat," "on top of the world," and "full of beans" - each of which is accompanied by an illustration of its literal meaning and one depicting its actual meaning, helping children to explore what the idioms sound like and why they might mean what they do. The book also suggests simple steps that children can take whenever they encounter new and unfamiliar idioms that are not covered in the book. A glossary, and a list of additional books and websites, provides further resources to help children learn about idioms and their origins. Provides a fresh and fun approach to exploring common idioms for all children aged 5 to 8, as well as those with Asperger Syndrome and communication difficulties. For parents of children with Asperger Syndrome ordinary parenting just doesn't always do it - AS kids need a different approach. Brenda is mother to thirteen-year-old Kenneth, author of Asperger Syndrome, the Universe and Everything, and since his diagnosis at the age of eight she has gathered together the parenting ideas and tips that have had a positive effect on Kenneth's life. Brenda discusses parents' reaction to their child's AS and gives advice on how better to understand 'Planet Asperger'. This book helps parents to respond positively to the challenge of AS and find the 'treasure' in their child's way of being. Joshua Muggleton knows from personal experience what it is like to grow up feeling like 'a Martian marooned on planet Earth'. Now 22 and studying psychology at the University of St. Andrews, he combines his insights into what it means to have Asperger Syndrome (AS) with his scientific knowledge of the autism spectrum to write an invaluable guide for parents and teachers. Opening with the very basics of what autism is, Joshua covers mental health, sensory issues, obsessions and rituals, friendships and social situations, and shopping, travelling, and holidays, before tackling what is arguably the biggest challenge of any Aspie child's life: school - and with it, bullying, homework, and other challenges. Providing the inside track on Asperger Syndrome in childhood, he describes practical ways in which parents and teachers can help, and offers a wealth of advice and helpful hints and tips for approaching common difficulties. An essential guide for any parent or teacher wishing to understand and help a child with Asperger Syndrome or high-functioning autism, Raising Martians will take them from crash-landing to leaving home. Since 1994, SIBLINGS OF CHILDREN WITH AUTISM has been helping parents meet the needs of siblings in families of children with autism. During many years in clinical practice, the authors have worked with hundreds of families and seen firsthand how siblings can become overshadowed by the intensive focus on a child with autism. This common occurrence is only one of the many sibling issues that parents and professionals should not only be sensitive to, but ready to address. Now in a brand new and expanded edition the basics of sibling relationships and the complexities that surface in families of children with autism are explored. Chapters cover how to explain autism to siblings, how to get siblings to share their feelings and concerns, how to master the family balancing act, and how to foster play between siblings. New chapters have been added concerning what siblings actually believe or understand about autism at different ages and how autism continues to impact adult sibling relationships, careers, and caregiver roles. Throughout the book, there are stories about individual families, giving readers points of comparison and helpful insights along the way. The direct challenges of raising a child with autism are well known to parents. But it is important for parents to also see autism through the eyes of their other children. For families looking for guidance on sibling issues and autism, the new edition addresses a multitude of their concerns and questions, and also offers advice on how to seek support from a family therapist or other professional when more intensive help is needed. Social Narratives are a simple, evidence-based intervention for helping children with autism spectrum disorders (ASD) and other developmental delays to improve their social behaviour. Packed with sample stories, this easy-to-use, practical guide shows how to create and use personalised Social Narratives with children aged 4+. Drawing on autism theory and extensive, up-to-date research, the author provides clear guidelines for writing and using Social Narratives. The book covers details such as using literal language, incorporating the interests of the child, including comprehension questions and the importance of including pictures. Readers will benefit from the extensive advice on presentation and implementation, as well as from explanations of the rationale behind each step. Ready-to-use sample stories are also included, and are useful examples of how Social Narratives can be used in practice. Perfect for improving social behaviour in children with ASD, this book will be a valuable resource for teachers, speech and language therapists, occupational therapists and educational psychologists, as well as parents. This book provides a guiding framework that can be easily adapted to any client's or student's needs. The author has integrated useful information on a variety of treatment approaches into a cutting-edge synthesis of the best available research and clinical practices. She addresses everything from how to understand and measure target behaviors to how to structure sessions for success, the type of content to cover, and specific strategies to employ. Many case examples make the information easy to understand, and handouts are provided that can be utilized in treatment or teaching. The end result is a book that is very comprehensive and easy to apply--a 'must read' for anyone doing social skills intervention with children with ASD. Faced with the apparent inability of her autistic son Billy to learn and socialize with other children at school, Olga Holland decided to teach him at home. Where traditional educational approaches had produced limited results, the author's own method of teaching succeeded, over a period of two years, in enabling Billy to pass the test that allowed him to enter a class for gifted children. Teaching at Home explains the author's approach, focused on adapting to the demands of Billy's atypical mind and respecting his vivid imaginative world while attracting and retaining his attention. The author describes her use of sensory and memory techniques, social stories and humour, and gives useful advice on issues such as understanding body language, adapting the teaching environment, devising homework schedules and coping with distractions. This book offers inspiration and encouragement for parents of children with autism or Asperger Syndrome who are considering homeschooling their children. This manual contains a 12-week curriculum designed to incorporate a multi-sensory approach to developing the critical and basic aspects of Theory of Mind (ToM). The activities are designed to be used with children aged 5-9, who have been diagnosed with an Autism Spectrum Disorder (ASD) or who have related social challenges. By building on Cognitive Behavioural Therapy principles, this book shows how teaching ToM to young children can help them to better understand the emotions and actions of people around them. This curriculum has been designed to enhance the development of ToM and subsequently enhance social understanding in children who demonstrate challenges with pre-requisite skills that lead to successful social relationships and situations. As well as practical advice and supplementary materials such as worksheets and cut-out-and-use flash cards, this book includes reinforcement activities to be carried out at home with parents and care givers. Every parent, teacher, social worker, therapist, and physician should have this succinct and informative book in their back pocket. Framed with both humor and compassion, the book lists the top ten characteristics that help illuminate -not define- children with autism. Ellen's personal experiences as a parent, an autism columnist, and a contributor to numerous parenting magazines coalesce to create a guide for all who come in contact with a child on the autism spectrum. Readers typically do not buy just one of this book - they buy one for everyone who interacts with their child! In this revised and expanded edition, new features like updated research, additional sections, and study guides will pave the way for its inclusion in book clubs, college curricula, and more! This book, for the teacher in all of us presents the unique perspective of a child's voice to help us understand the thinking patterns that guide their actions, shape an environment conducive to their learning style, and communicate with them in meaningful ways. 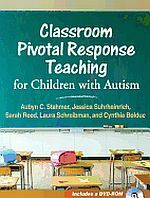 This book affirms that autism imposes no inherent upper limits on achievement, that both teacher and child "can do it." It's the game plan every educator, parent, or family member needs to make the most of every "teaching moment" in the life of these children. Introducing Sam who has undiagnosed Asperger Syndrome. There is something about Sam that causes him to behave a little differently than other children, making him an easy target for being teased at school. Once he is diagnosed life becomes a little easier and when Sam participates in the school concert the whole town celebrates his talent. Includes a letter to children and 10 helpful tips on how to interact with a child or friend like Sam. Join Greg, a young boy with Asperger's syndrome (AS), as he tells us all about the world as he sees and experiences it. We learn about all the things he loves, including his routine and numbers, as well as his special interest. He also tells us about the things that he finds challenging, from a change in his beloved routine to reading facial expressions, and how these things can sometimes leave him upset and overwhelmed. By explaining the way he feels and how best to calm him down when it all gets too much, Greg helps us to understand AS and how it affects the way he views the people and objects around him. Why do I have to? looks at a set of everyday situations that provide challenges for children at home, with their friends and at school. Empathizes with children's wish to do things their way, explaining clearly why their way does not work and provides a list of practical suggestions for how to cope with these challenges and avoid feelings of frustration. This is the ideal book for children who have difficulty coping with the expectations of daily living, as well as for their parents and the professionals who work with them. Copyright © 2019, Peoplemaking. Page dynamically created on April 20th, 2019, in 0.01 secs.